A Freedom of Information Act lawsuit showed that the Obama administration vigorously lobbied against Freedom of Information Act reform in Congress. The documents and correspondence, which were obtained through the Freedom of the Press Foundation’s lawsuit against the Justice Department and reported out by Jason Leopold at Vice Media, showed that the administration was literally lobbying against its own policy becoming law. The Department of Justice’s six page memorandum shows that the agency opposed Congress making the exact language in Attorney General Eric Holder and President Obama’s 2009 memorandums on FOIA law. The Justice Department opposing FOIA reform direct conflicts commitments made in the U.S. National Action Plan on Open Government required as part of its participation in the Open Government Partnership. I asked Ambassador Power how the United States can be a credible leader on open government if the White House and DoJ does this. In an alternate universe, she and the administration would respond publicly. Unfortunately, it’s easy to predict the outcome of this news: publicly committing to open government reforms and then undermining them privately will erode abysmal levels of trust in government even more. In the face of hypocrisy from the Justice Department on this count, the public should call on their Senators to make the Freedom of Information Act reform legislation the House of Representatives passed in January into law. Over on Storify, I’ve collected applause for the passage of the DATA Act in the Senate. More to come on this landmark open government bill soon. Update: Over at TechRepublic, I published a column asserting that the passage of the DATA Act is a major event in the age of data transparency. Update: To date, the White House Office of Management and Budget has expressed support for Congressional attention to open government, if not the bill itself. “We share Senator Warner’s commitment to transparency and government accountability, support the Senator and his efforts to pass the DATA Act, and appreciate his focus on the issue,” said OMB spokesman Frank Benanati. More to come on this landmark open government bill soon. Earlier today, Congressman Mike Quigley (D-IL) introduced a comprehensive open government transparency bill on the floor of the United States House of Representatives. 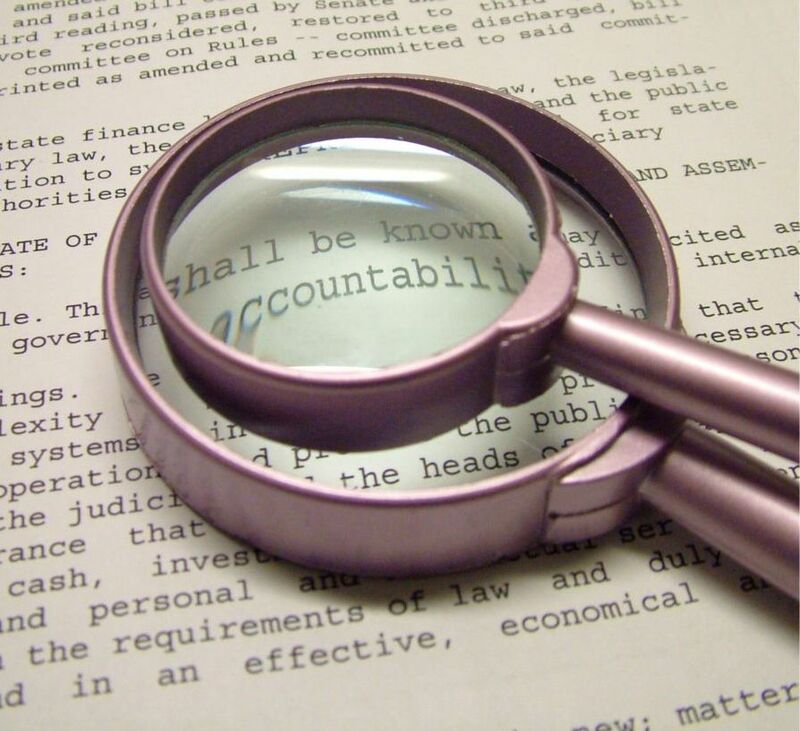 The aptly titled “Transparency in Government Act” (PDF) (summary) coincides with Sunshine Week, the annual effort to stimulate a national dialogue about the iopen government and freedom of information. As it has in its previous two iterations, the transparency bill has received strong support from most of the major government watchdog and transparency groups in Washington, including Citizens for Responsibility and Ethics in Washington (CREW), the Sunlight Foundation, Data Transparency Coalition, the Center for Responsive Politics, the Center for Effective Government, the Project on Government Oversight (POGO) and the Electronic Privacy Information Center (EPIC). As we noted at the time, the original bill was inspired in part by model transparency legislation put together on PublicMarkup.org, a project of the Sunlight Foundation. The 2014 version of the TGA includes a number of Sunlight Foundation priorities including, but not limited to, enhanced access to the work of congressional committees and Congressional Research Service reports, improvements to the current lobbying disclosure regime as well as increased transparency in federal contracting, grants and loans. Greater congressional accountability through improved disclosure of foreign travel reports, gift reports, how members of Congress spend their official budgets, and greater disclosure of personal financial information. Greater congressional transparency through improved access to the work of committees (including meeting schedules and transcripts) and greater contextualization of floor votes. Empowering public understanding of congressional work through public access to Congressional Research Service reports. Better tracking of lobbying by broadening the definition of lobbyist, improving the tracking of lobbying activity (in part through the use of unique entity identifiers), and more frequent disclosures by lobbyists of political contributions; improved access to information on lobbying on behalf of foreign entities; and public access to statements by grantees and contractors certifying that they have not used money awarded by the federal government to lobby (the SF-LLLs). Enhancing transparency for contracts, grants, and loans through improved data quality, better disclosure (including electronic) and improved compliance. Making the executive branch more transparent by requiring online access to White House and executive branch agency visitor logs, providing centralized access to agency budget justifications, and allowing the public to see how the Office of Management and Budget OIRA changes draft agency regulations. Improving transparency of non-profit organizations by requiring non-profit tax forms (990s) to be available online in a central location (replacing the current ad hoc disclosure system). Opening up federal courts by requiring live audio of Supreme Court hearings, publishing federal judicial financial disclosures online, requiring a Government Accountability Office study on the impact of live video-streaming Supreme Court proceedings, and requiring a GAO audit of PACER. Require annual openness audits by GAO that look at whether data made available by the government meets the eight open data principles. Taken one by one, the individual provisions in the bill are well worth considering, one by one, from bringing the Supreme Court into the 21st century to FOIA reform. If Representative Quigley’s bill can attract the attention of Congressional leaders and legislators across the aisle who have professed support for open government and transparency, maybe some more of these provisions will move forward to enter the Senate, though that body has shown little appetite for moving legislation forward in the 113th Congress to date. Today, the Center for Effective Government released a scorecard for access to information from the 15 United States federal government agencies that received the most Freedom of Information Act (FOIA) requests, focusing upon an analysis of their performance in 2013. The results of the report (PDF) for the agencies weren’t pretty: if you computed a grade point average from this open government report card (and I did) the federal government would receive a D for its performance. 7 agencies outright failed, with the State Department receiving the worst grade (37%). The report is released at an interesting historic moment for the United States, with Sunshine Week just around the corner. The United States House of Representatives just unanimously passed a FOIA Reform Act that is substantially modeled upon the Obama administration’s proposals for FOIA reforms, advanced as part of the second National Open Government Action Plan. If the Senate takes up that bill and passes it, it would be one of the most important, substantive achievements in institutionalizing open government beyond this administration. It is appropriate and fair to recognize agencies that are fulfilling their obligations under the FOIA. But CEG’s latest report does a huge disservice to all requesters by falsely inflating DOJ’s performance, and ignoring the myriad ways in which that agency — a supposed leader on the FOIA front — ignores, if not flouts, its obligations under the statute. Last Friday, I spoke with Sean Moulton, the director of open government policy at the Center for Effective Government, about the contents of the report and the state of FOIA in the federal government, from the status quo to what needs to be done. Our interview, lightly edited for content and clarity, follows. What was the methodology behind the report? Moulton: Our goal was to keep this very quantifiable, very exact, and to try and lay out some specifics. We thought about what the components were necessary for a successful FOIA program. The processing numbers that come out each year are a very rich area for data. They’re extremely important: if you’re not processing quickly and releasing information, you can’t be successful, regardless of other components. We did think that there are two other areas that are important. First, online services. Let’s face it, the majority of us live online in a big way. It’s a requirement now for agencies to be living there as well. Then, the rules. They’re explained to the agencies and the public, in how they’re going to do things when they get a request. A lot of the agencies have outdated rules. Their current practices may be different, and they may be doing things that the rules don’t say they have to, but without them, they may stop. Consistent rules are essential for consistent long term performance. A few months back, we released a report that laid out what we felt were best practices for FOIA regulations. We went through a review of dozens of agencies, in terms of their FOIA regulations, and identified key issues, such as communicating with the requester, how you manage confidential business information, how you handle appeals, and how you handle timelines. Then we found inside existing regulations the best ways this was being handled. It really helped us here, when we got to the rules. We used that as our roadmap. We knew agencies were already doing these things, and making that commitment. The main thing we measured under the rules were the items from that best practices report that were common already. If things were universal, we didn’t want to call a best practice, but a normal practice. Is FOIA compliance better under the Obama administration, more than 4 years after the Open Government Directive? Moulton: In general, I think FOIA is improving in this administration. Certainly, the administration itself is investing a great deal of energy and resources in trying to make greater improvements in FOIA, but it’s challenging. None of this has penetrated into national security issues. I think it’s more of a challenge than the administration thought it would be. It’s different from other things, like open data or better websites. The FOIA process has become entrenched. The biggest open government wins were in areas where they were breaking new ground. There wasn’t a culture or way of doing this or problems that were inherited. They were building from the beginning. With FOIA, there was a long history. Some agencies may see FOIA as some sort of burden, and not part of their mission. They may think of it as a distraction from their mission, in fact. When the Department of Transportation puts out information, it usually gets used in the service of their mission. Many agencies haven’t internalized that. There’s also the issue of backlogs, bureaucracy, lack of technology or technology that doesn’t work that well — but they’re locked into it. What about redaction issues? Can you be FOIA compliant without actually honoring the intent of the request? We do know that the percentage of full grants has dropped every year, for 12 years, from the Clinton administration all the way through the Bush administration to today. It’s such a gray area. It’s hard to say whether it’s a terrible thing or a modest change. Has the Obama administration’s focus on open government made any difference? Another example, again at the EPA, is where they’ve put together a proactive disclosure website. They got a lot of requests, like if there are inquiries about properties, environmental history, like leaks and spills, and set up a site where you could look up real estate. They did this because they went to FOIA requests and see what people wanted. That has cut down their requests to a certain percentage. Has there been increasing FOIA demand in recent years, affecting compliance? Moulton: I do think FOIA requests have been increasing. We’ll see what this next year of data shows. We have seen a pretty significant increase, after a significant decrease in the Bush administration. That may be because this administration keeps speaking about open government, which leads to more hopeful requestors. We fully expect that in 2013, there will be more requests than the prior year. DHS gets the biggest number of all, but that’s not surprising when we look at the size of it. It’s second biggest agency, after Defense, and the biggest domestic facing agency. when you start talking about things like immigration and FEMA, which go deep into communities and people’s lives, in ways that have a lot impact, that makes sense. What about the Department of Justice’s record? Is FOIA performance a sufficient metric to analyze any administration’s performance on open government? Moulton: We should step back further and look at the broader picture, if we’re going to talk about open government. This administration has done things, outside of FOIA, to try to open up records and data. They’ve built better online tools for people to get information. You have to consider all of those things. Does that include efforts like the Intelligence Community Tumblr? Moulton: That’s a good example. One thing this administration did early on is to identify social media outlets. We should be going there. We can’t make citizens come to us. We should go to where people are. The administration pushed early on that agencies should be able to use Tumblr and Twitter and Facebook and Flickr and so on. Is this social media use “propaganda,” as some members of the media have suggested? Moulton: That’s really hard to decide. I think it can result in that. It has the potential to be misused to sidestep the media, and not have good interaction with the media, which is another important outlet. People get a lot of their information from the media. Government needs to have good relationship. I don’t think that’s the intention, though, just as under Clinton, when they started setting up websites for the first time. That’s what the Internet is for: sharing information. That’s what social media can be used for, so let’s use what’s there. Earlier tonight, The United States House of Representatives voted 410-0 to pass the FOIA Oversight and Implementation Act. If the FOIA Act passes through the Senate, the bill would represent the most important update to United States access to information laws in generations. The FOIA Oversight and Implementation Act (FOIA), ‪‎H.R.1211‬, is one of the best opportunities to institutionalize open government in the 113th Congress, along with the DATA Act, which passed the House of Representatives 388-1 last November. The FOIA reform bill now moves to the Senate, which passed unanimous FOIA reform legislation in the last Congress. As Nate Jones detailed at the National Security Archive, the Senate’s own legislative effort to reform FOIA, the so-called the “Faster FOIA Act” (S.627, S. 1466), was not picked up by the House: the open government bill was hijacked in service of a 2011 budget deal, where the FOIA provisions in it ultimately met an untimely end. Chairman Darrell Issa (R-CA. ), Ranking Member Elijah Cummings (D-MD), and Representative Mike Quigley (D-IL) chose to draft their own bill instead of taking that bill up again. Open government advocates applauded the unanimous passage of the FOIA Act, although there are some caveats about its provisions for the Senate to consider. Since its original passage nearly 50 years ago, FOIA has been a cornerstone of the public’s right to know. By modernizing FOIA, H.R. 1211 would improve Americans’ ability to access public information and strengthen our democracy. We thank the chair and ranking member of the House Committee on Oversight and Government Reform, Reps. Darrell Issa (R-CA) and Elijah Cummings (D-MD), who worked with the open government community to develop this legislation in a bipartisan fashion. We urge the Senate to advance legislation addressing these issues and other pressing FOIA reforms, including the need to rein in secrecy claims under Exemption 5, which restrict access to important information about government operations. Access to public information is crucial to our democracy and the government’s effectiveness. It allows Americans to actively engage in policymaking in a thoughtful, informed manner and to hold public officials accountable for decisions that impact us all. … A “presumption of openness” and improved online infrastructure are important, but the bigger challenge will be getting agencies to change their posture away from one of non-disclosure and often aggressive litigation that is opposed to openness. … It clearly shows that ensuring public access to government information is not a partisan issue, or even one that should divide the branches of government. We hope to see the Senate take up legislation in the near future so that both chambers can work together to send a strong FOIA reform bill to President Obama’s desk for him to sign. Without a doubt these are needed reforms. As CREW has long advocated, however, meaningful FOIA reform must include changes in the FOIA’s exemptions to make the statute work as Congress intended. All too often agencies hide behind Exemption 5 and its protection for privileged material to bar public access to documents that would reveal the rationale behind key government decisions. For example, the Department of Justice denies every request for a legal opinion issued by DOJ’s Office of Legal Counsel that determines what a law means and what conduct it permits, claiming to reveal these opinions would harm the agency’s deliberative process. This has led to the creation of a body of secret law — precisely what Congress sought to prevent when it enacted the FOIA. To address this serious problem, CREW has advocated adding a balancing test to Exemption 5 that would require the agency and any reviewing court to balance the government’s claimed need for secrecy against the public interest in disclosure. Other needed reforms include a requirement that agencies post online all documents disclosed under the FOIA. The House bill, however, does not incorporate any of these reforms. This post has been updated with additional statements over time. 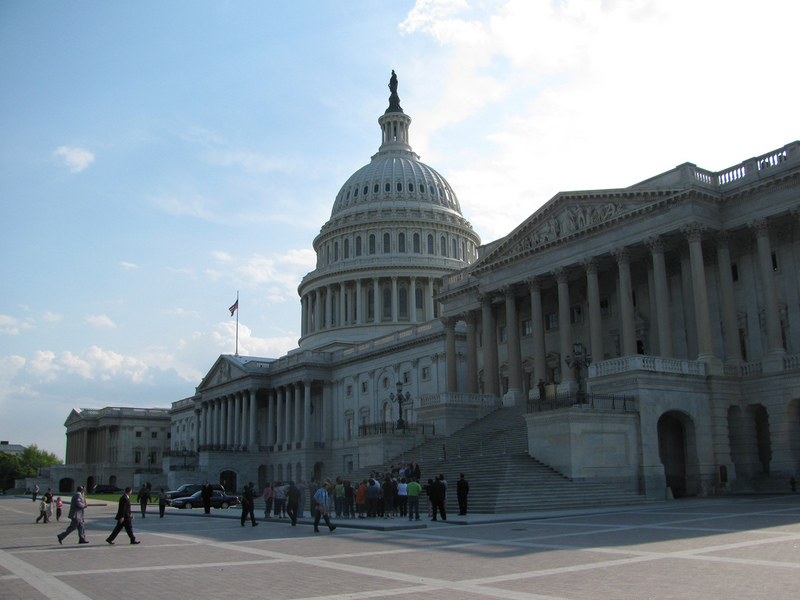 U.S. House unanimously voted 410-0 in favor of FOIA reform. Unless the Congress passes legislation to codify reforms and policies proposed or promulgated under a given administration, the next President of the United States can simply revoke the executive orders and memoranda passed by his or her predecessor. Today, almost a year after its introduction, the FOIA Oversight and Implementation Act (FOIA), H.R. 1211, will go before the U.S. House for a vote. If enacted*, it would commit the reforms to the Freedom of Information Act that the Obama administration has proposed but go further, placing the burden on agencies to justify withholding information from requestors, codifying the creation of a pilot to enable requestors to submit requests in one place, creating a FOIA Council, and directing federal agencies to automatically publish records responsive to requests online. While these actions were proposed by the administration in its National Open Government Action Plan, Congressional action would make them permanent. The bipartisan bill, cosponsored by House Oversight and Government Reform Chairman Darrell Issa (R-CA. ), Ranking Member Elijah Cummings (D-MD), and Representative Mike Quigley (D-IL), has received support from every major open government advocacy group in Washington, DC. The released a letter to Congress this week urging the passage of the FOIA Reform Act. The Sunshine in Government and Small Business and Entrepreneurship Council also published letters in support of the bill. It has not, however, picked up a sponsor in the Senate yet. Currently, 97% of POPVOX users support HR1211. While the bill may not be perfect, very few pieces of legislation are. “This bill strengthens FOIA, our most important open government law, and makes clear that the government should operate with a presumption of openness and not one of secrecy,” said Cummings, in a statement. Given the continued importance of the Freedom of Information Act to journalists and its relevance to holding the federal government accountable, I would urge any readers to find your Representative in Congress and urge him or her to vote for passage of the bill. Improving open government oversight through FOIA reform has been a long time coming, but change should come. 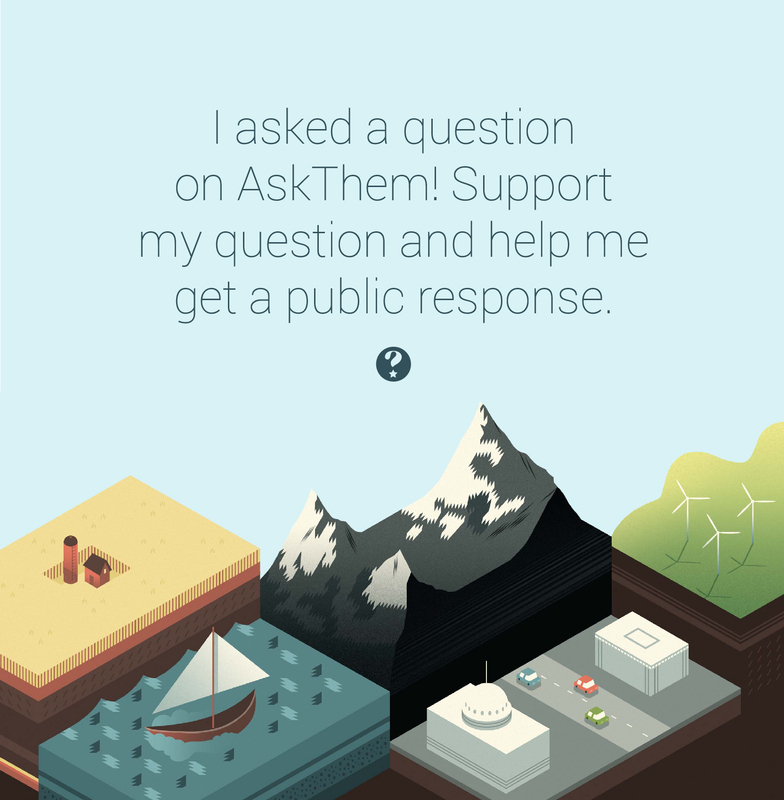 Today, the Participatory Politics Foundation launched AskThem.io, a new online tool focused upon structured questions and answers with elected officials. The platform is an evolution from earlier attempts to ask questions of candidates for public office, like “10 Questions” from Personal Democracy Media, or the myriad online town halls that governors and the White House have been holding for years. 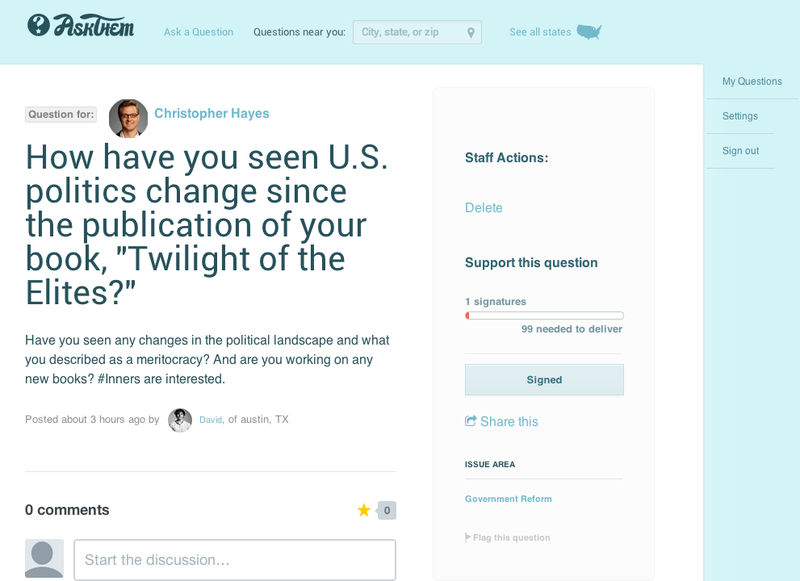 AskThem enables anyone to pose a question to any elected official or Verified Twitter account. Notably, the cleanly designed Web app uses geolocation to enable users to learn who represents them, in of itself a valuable service. That last bit is key: there’s no requirement for someone to respond, for the response itself to be substantive, nor for the public figure to act. There’s only the network effect of public pressure to make any of that happen. After a year of development, Moore was excited to see the platform go live today, noting a number of precedents set in the process. Moore referred to AskThem’s use of the Google Civic Information API, which provides the data for the platform. AskThem goes online just in time for tomorrow’s day of action against mass surveillance, where over 5,000 websites will try to activate their users to contact their elected representatives in Washington. Whether it gets much use or not will depend on awareness of the new tool. That could come through use by high-profile early adopters like Chris Hayes (@chrislhayes), of MSNBC’s “All In with Chris Hayes,” or OK Go, the popular band. At launch, 66 elected officials nationwide have signed on to participate, though more may join if it catches on. In the meantime, you can use AskThem’s handy map to find local elected officials and see a listing of all of the questions to date across the USA — or pose your own. After months of discussion regarding how the government can avoid another healthcare.gov debacle, legislative proposals are starting to emerge in Washington. Last year, FITARA gathered steam before running into a legislative impasse. Today, a new draft bill introduced for discussion in the United House of Representatives proposes specific reforms that substantially parallel those made by the United Kingdom after a similar technology debacle in its National Health Service. The draft bill is embedded below. The subtext for the ‘Reforming Federal Procurement of Information Technology Act’ (RFP-IT), is the newfound awareness in Congress and the nation at large driven by the issues with Healthcare.gov that something is profoundly amiss in the way that the federal government buys, builds and maintains technology. The legislative proposal earned qualified praise from Clay Johnson, former Presidential Innovation Fellow and CEO of the Department for Better Technology, whose advocacy for reforming government IT procurement and fixing the issues behind Healthcare.gov seemed to be on every cable news channel and editorial page last fall and winter. In 2014, digital government supports open government. What’s unclear is whether this proposal from two Democratic lawmakers can gain a Republican co-sponsor in the GOP-controlled legislative body or if a federal IT reform-minded Senator like Mr. Carper or Mr. Booker will take it up in the Senate. This is singular bill isn’t a panacea, however, Johnson emphasized, pointing to the need to fix SAM.gov, the error-prone website for contractors to register with the federal government, and reforms to registration for “set-aside” business. “We’re not sure how Congress writes a ‘stop throwing errors when a user clicks submit on sam.gov’ law,” wrote Johnson. “That’s going to take hearings, and most likely, a digital government office to fix. And we think this is a bill that complements Issa’s FITARA. Since this bill is at the discussion draft stage, perhaps soon we’ll see some Republicans jump on board. 2) It would codify the Presidential Innovation Fellows program. 3) It would expand competition for federal IT contracting under a simplified process that would ease the regulatory and compliance burden upon smaller companies bidding, bumping the threshold for information tech projects up to $500,000. 5) Direct the General Services Administrator to conduct an in-depth analysis of IT Schedule 70.